The following is a Guest Post from Inner Child Fun, a member of our Craft Project Ideas Blogger Network! These sunflower pocket fans are perfect for Spring or Summer! 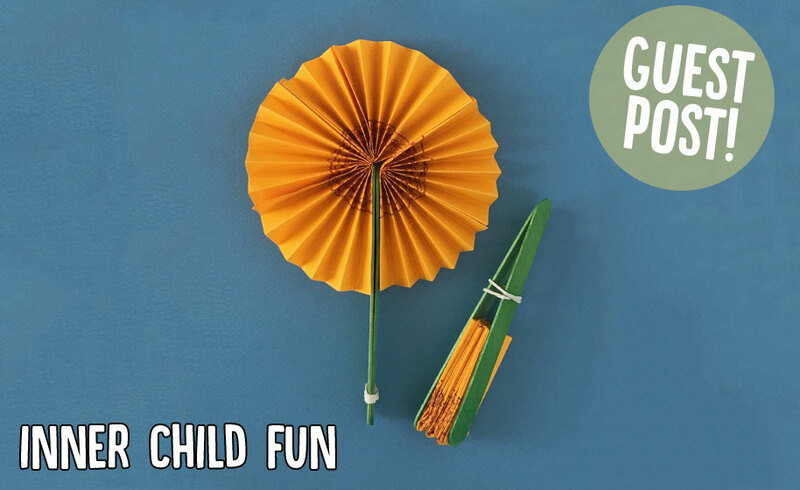 Wouldn’t these sunflower fans be a festive craft for a Summer garden party? They are simple to make and only require a few basic craft supplies. The fans are small enough for travel and would be great to have on-hand for hot Summer days. 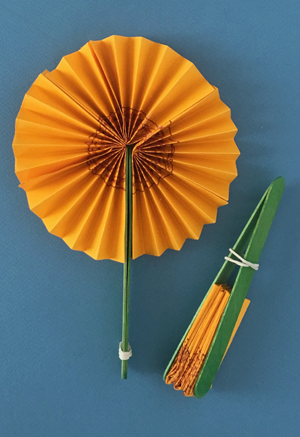 Below you will find step by step instructions for how to make your own sunflower pocket fan! Fold each sheet of paper in half to make two long skinny rectangles sized 4.25″ x 5.5″. You will need three of these, so set aside the last half-sheet for another project. 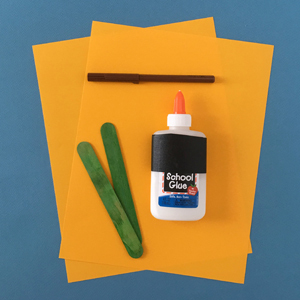 Use a brown marker to roughly color a channel down the center of each sheet of paper. This will form the sunflower’s “seeds”. 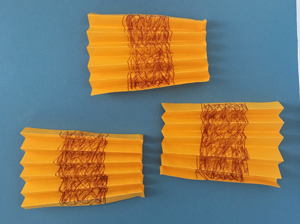 Fold accordion style as shown. 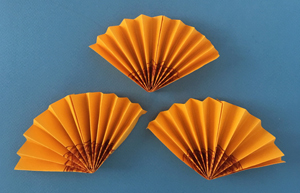 Fold each paper accordion in half, and glue in the center. Glue the paper fan sections into place, and allow the glue to dry. Lastly, glue the craft sticks as handles for the paper fan. Once the glue has completely dried, you should be able to open and fold the fan. Tip – use a rubber band to hold the fan in place!